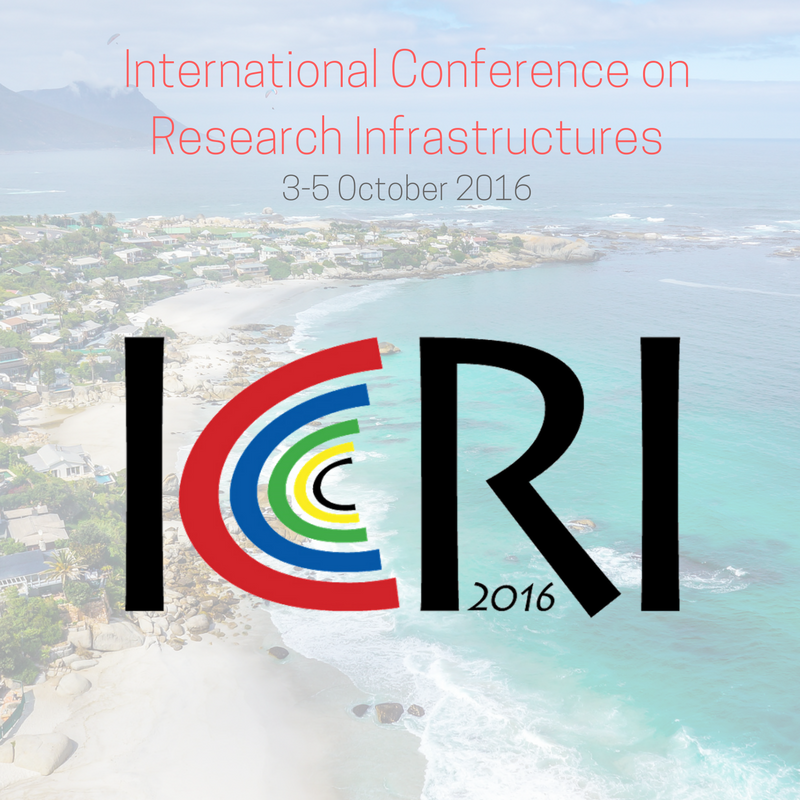 We cordially invite you to a Fringe event on the International Cooperation of Research Infrastructures in the environmental field that will be held on Sunday, October 2 during the ICRI Conference in Cape Town. The event will explore the global cooperation between environmental research infrastructures with a special emphasis on cooperation with African countries. Large-scale environmental and ecosystem observations related to Grand Environmental Challenges require respective research infrastructures including terrestrial and marine in-situ observational networks and remote sensing infrastructures that provide openly accessible data and are supported by powerful globally connected computing systems for modeling and knowledge integration. The Grand Challenge of Climate Change may serve as an example: after the agreement achieved at COP 21 the knowledge provided by greenhouse gas observations will be crucial to steer efficient mitigation measures. To avoid dangerous climate change will require substantial GHG emission reductions worldwide of 20-30% in the next 10-15 years and in the order of 80% by 2050. The efforts needed to achieve this are massive and will require large changes in life-style and organization of the energy and food production and transport systems of the world. However, how much and how long the greenhouse gases remain in the atmosphere and how feedbacks of the Earth System due to climate change will influence this is very uncertain. This might result faster or slower reductions of the GHG concentrations in the atmosphere than anticipated and also lead to adapted target levels as time and our knowledge progresses. Societal costs may, therefore, be higher or lower than anticipated. To monitor this a global interoperable and connected monitoring network for GHG concentrations and fluxes at the level of (or preferably even better as) those that have been developed recently in the EU and US is needed. The World Meteorological Organisation (WMO) and the Group on Earth Observation (GEO) have launched global integration efforts on greenhouse gas observations. However, African societies face growing more risks than global change e.g. by rapidly changing patterns of human settlements and intensity of use of ecosystem services. At the same time, increasing population pressures as climate variability and climate change trends are intensifying stress on the ecosystems that ensure environmental security, both locally (e.g. ecosystem services), regionally (e.g. sustainable development options). Research approaches that can address these challenges in an integrated and multidisciplinary way are urgently needed in Africa where there is a close relationship between societal well-being and environmental condition, relating particularly to biomass for energy and food production, and hydrological considerations such as water yields. The purpose of the event is to promote the global connectivity and interoperability of the various environmental research infrastructures. Possible synergies in e.g. technical standardization, co-location and data organization as well as gaps and limitations will be evaluated. A summary report will be published in an appropriate journal. The event will be organized by ICOS ERIC, ILTER and SAEON in cooperation with the EU H2020 projects ENVRIplus and COOP+ and SEACRIFOG. The event will further develop the EU-Africa High Level Policy Dialogue (HLPD) on science, technology and innovation. The event will be structured in three main parts. You can see from the program that we have the opportunity to have a few more presentations. Thus, in case you want to contribute to the event, please contact Werner Kutsch. The introducing part will provide a general framework for describing the interconnection between social and economic actions and respective environmental reactions and state changes. The resulting feedback processes are often described as environmental ‘risks’ or ‘challenges’ for ecosystem services that support human societies on different scales. Policy and decision makers as well as local societal initiatives are increasingly dependent on knowledge about the state of the environment and its change. On land, in the ocean and in the atmosphere, long-term observational systems and research infrastructures have been identified to be indispensable elements of this knowledge generation to serve e.g. climate change mitigation and adaptation, food security, and conservation of species, ecosystems and biomes. Global cooperation has to be guided by existing local knowledge and by a definition of the local societal needs and the resulting local knowledge requirements. As a consequence, cooperation has to adapt scientific questions and applied technologies thoroughly. Education and capacity building require large and constant efforts. The final part shall focus on stakeholders’ perspectives to support long-term international cooperation.